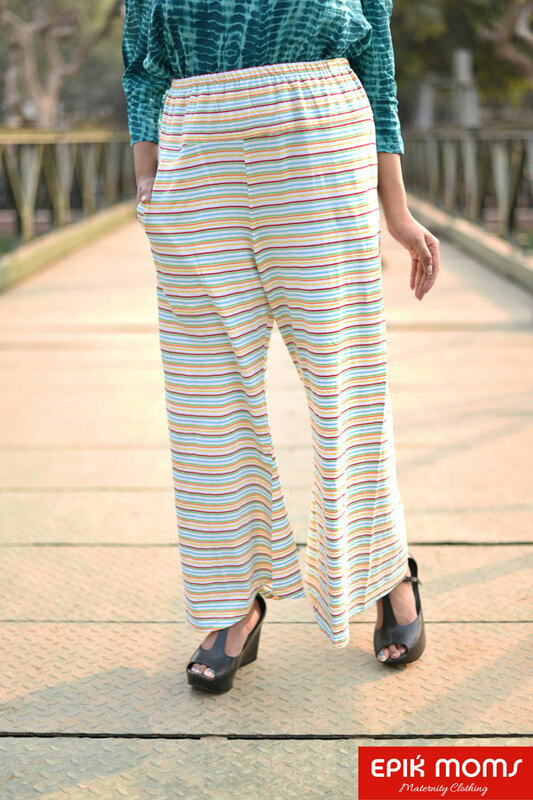 Slip in to these comfortable Multi coloured stripes palazzos made in lightweight soft stretchable fabric to help your skin breathe. Elongated at your ankles, these ribbs have a soft supporting bump band around the belly. Wear it during the day when you relax at home or use it as pyjamas for a sound sleep. Pair it up with your favourite top for work wear.